First Look: Sea of Bees – "Songs for the Ravens"
Sea of Bees singer Julie Ann Bee (see what she did there?) has the kind of prematurely aged voice one usually gets from being Stevie Nicks or Hope Sandoval for too long. 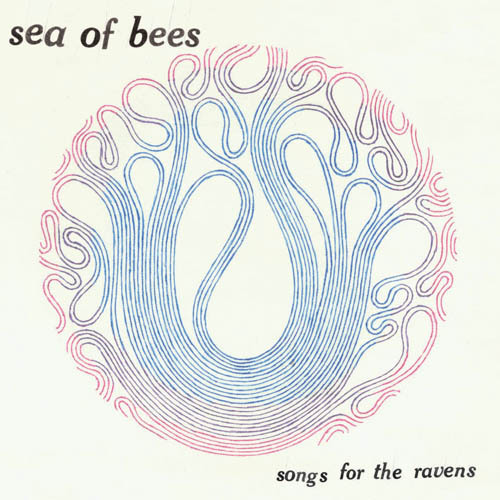 On Songs for the Ravens, Bee follows her predecessors down a path of wild warbling, reaching genuine crescendos at times (as on the stand-out “Wizbot”) but more often trilling contentedly over apocalyptic alt-country soundscapes. It’s a vivid sound, if one without a lot of hooks until its surprisingly full-steam-ahead finish, but the album gains its weight in beauty from coloring outside the lines. “Magical dreams brought me to you,” she sings on “The Gold,” and I won’t call her a liar.